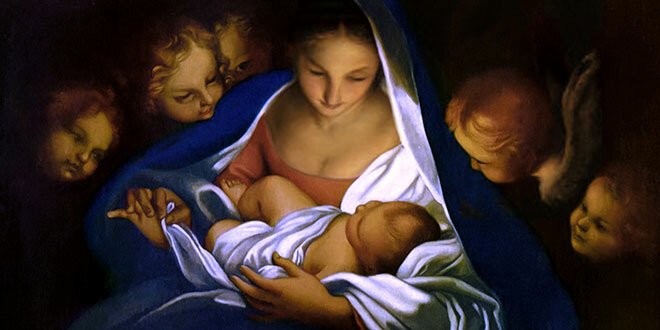 CHRISTMAS is with us again and while a time of undeniable joy, for many that is not the case. As you approach this time how does life look for you? Will this season go by without hearing from someone you most want to hear from? Has the year been such that you will ache for the presence of someone who is no more and will the very sight of the festive Christmas dinner table really be a time of hidden tears? Did you start the year with high hopes and dreams only to find at year’s end none of them have materialised in fact they have actually taken a backward step? Will you be on your own? Sometimes our hearts can be so laden at Christmas, that we miss the essential message and promise that is given to us. Yet perhaps, despite the pain, there is no better time to hear it. I knew a woman once. Let’s call her “Jean”. She and her husband “George” were both recovering alcoholics with some forty years of sobriety to their credit. It was a second marriage for both. They were regular visitors to our Church every Sunday and we claimed them as friends. They always sat up the front except at the Christmas Midnight Mass, then they sat down the back because Jean always cried. I knew her well enough to ask the cause of her tears and was blessed with her story. Alcohol had already claimed her as a young married woman with four little children. If it came to a choice between dropping the baby and dropping a bottle of wine, the wine would always win. Every Christmas morning her little children would come into the kitchen with hopeful eyes, perhaps Santa had been but all they found was a drunken mother slouched in the chair, no presents, no Christmas dinner. When she came to and realised, her shame became anger and she lashed out at the children. Their little friends would be out in the streets with their toys and bikes, Jean’s children hid and cried. One year on Christmas Eve the story varied. Jean was once again in a drunken stupor when a ute loaded with toys and Christmas fare of every kind pulled up outside their shack of a home. The man behind the wheel was dressed in a Santa suit and accurately assessed the situation. He strung the gift giving out as long as he could, he gave the children a ride in the ute making them the envy of every child in the street. Apparently Jean had bought a forgotten ticket in a pub Christmas raffle and had won. That was her turning point. From there she found her way to Alcoholics Anonymous (AA) and her life went on a very different road, too long to go into here. Nonetheless she continued to be tortured by the images of those Christmases long gone; she simply could not let it go. Slowly though before she went home to God she began to see it differently. She said that God sent the ute that Christmas and it opened up a truth; God has been with her through everything. There’s the promise of Christmas. In whatever state you find yourself this Christmas, may I give you a suggestion? Make a space of time to visit the Crib, maybe when you go to Mass or maybe when you are on your own. Hide whatever you heartache is in the straw, it is the finest gift you can give Jesus; your heartache is the reason He came. When you leave your gift there wait a moment in silence. Your soul will hear a little voice meant just for you, “I have come, I am here”. Yes, you are the reason for the season. Sr Hilda Scott is the vocations director for the enclosed Benedictine Abbey at Jamberoo, NSW. She writes a monthly column for The Catholic Leader print edition.